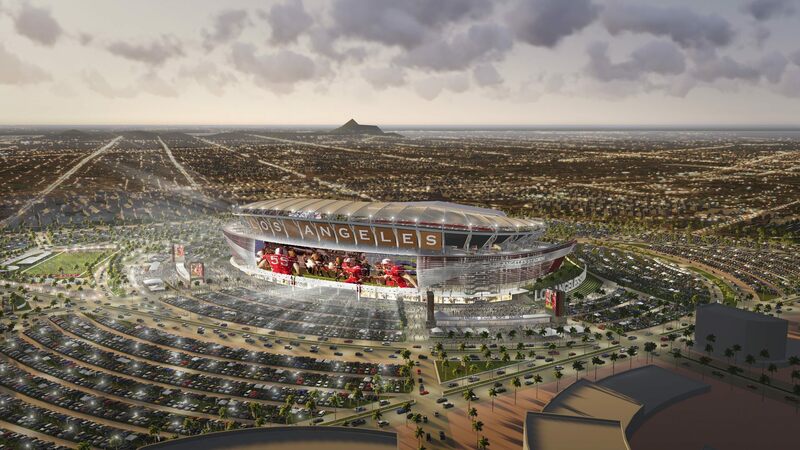 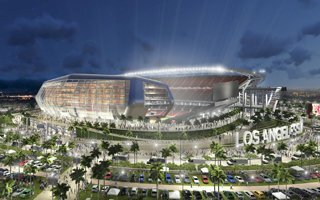 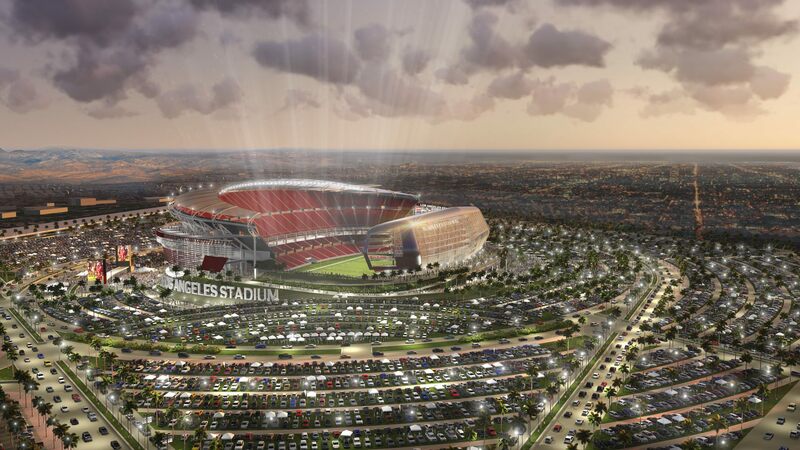 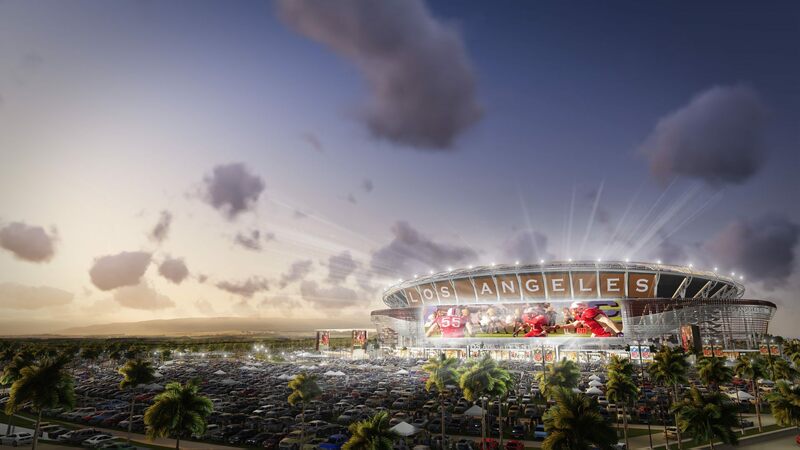 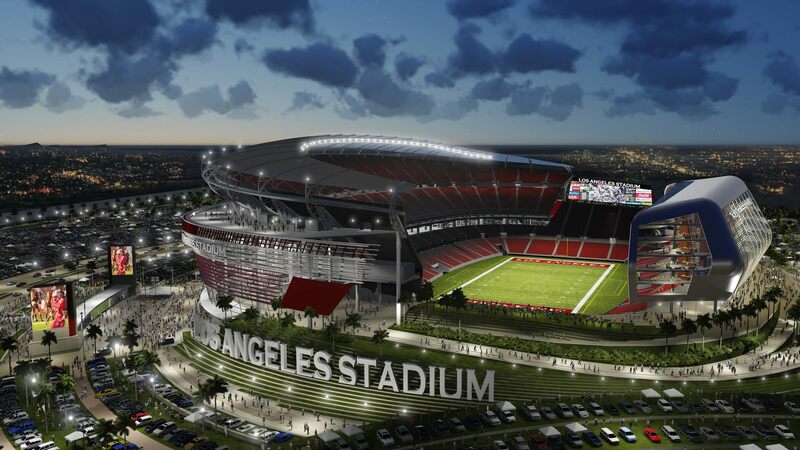 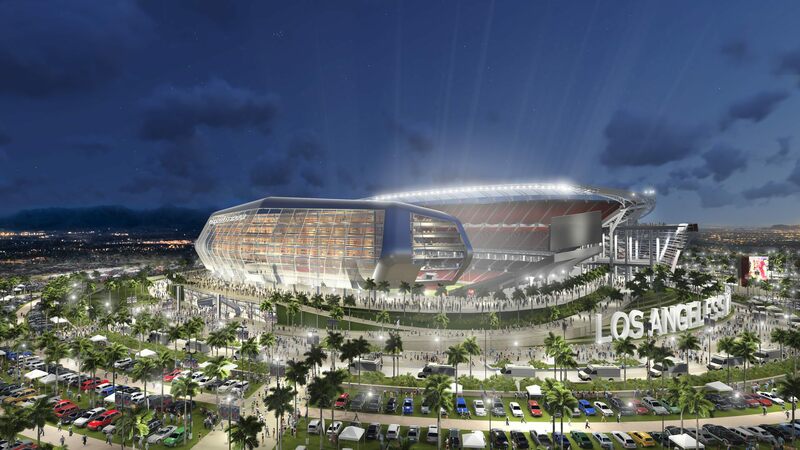 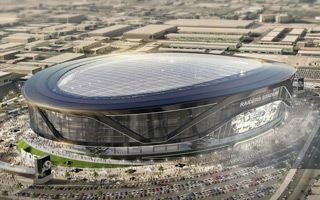 The concept was created by Manica Architecture and foresees a new NFL stadium near the 405 freeway in Carson, LA (close to LA Galaxy’s home). 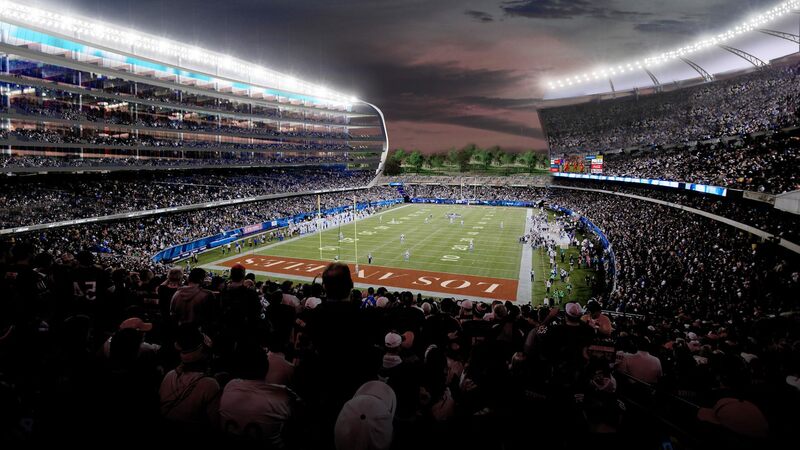 The seating layout would provide a medium-sized lower ring of stands continuously around the entire pitch and various kinds of upper decks. 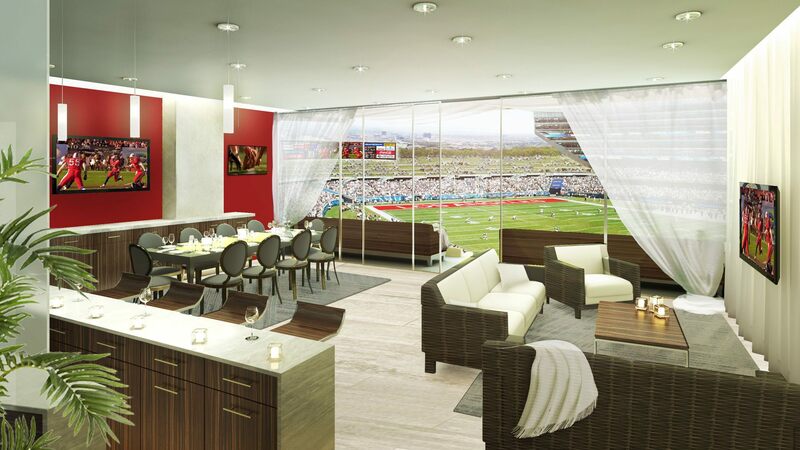 In the main grandstand one large business terrace would be built with 5 levels of skyboxes above it. 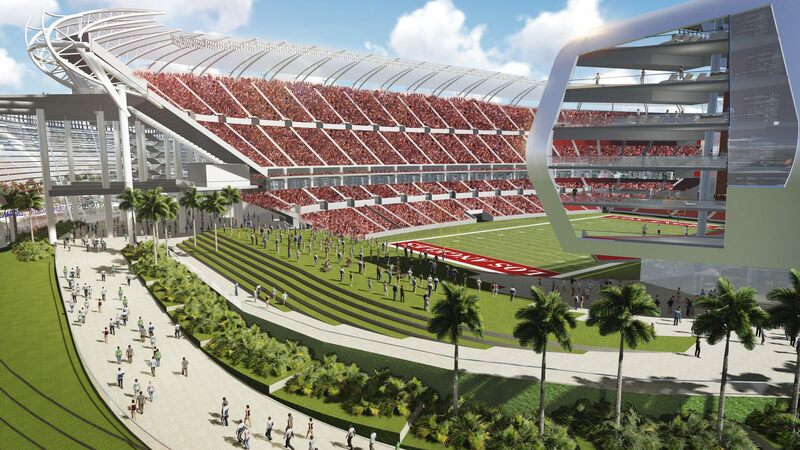 On the opposite side vast majority of the fans would be seated on two levels, upper on dominating the remainder in terms of size. 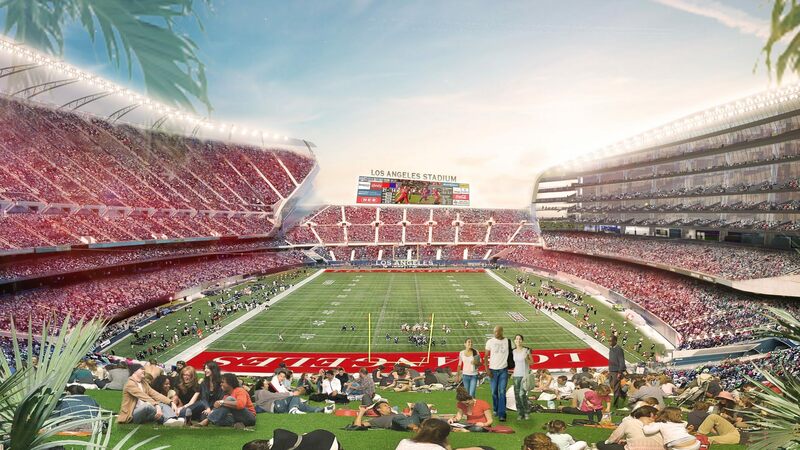 Goalline stands could see various upper decks, either with regular seating or a grass terrace for more picnic-alike atmosphere. 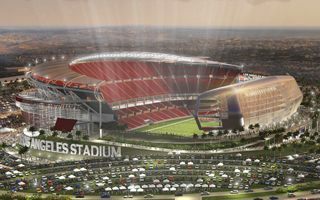 Capacity is estimated at 68,000 with potential to grow towards 72,000. 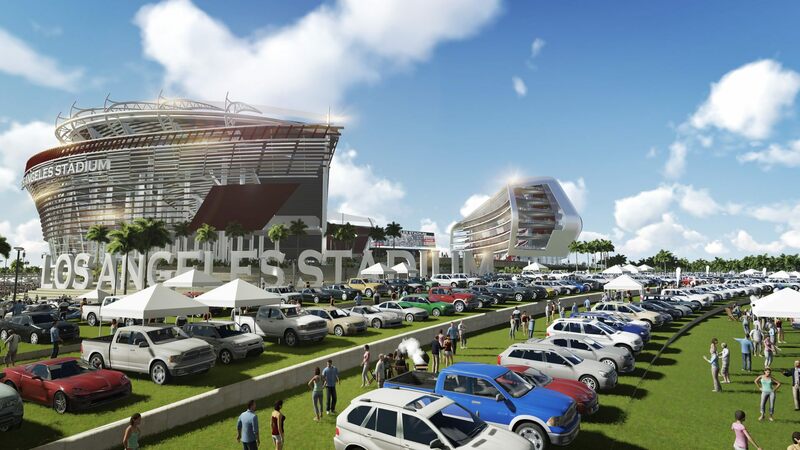 Aesthetically, the concept’s most distinctive element is the main grandstand’s building. 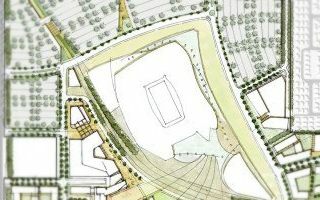 It’s modern and semi-open shape could be seen from afar. 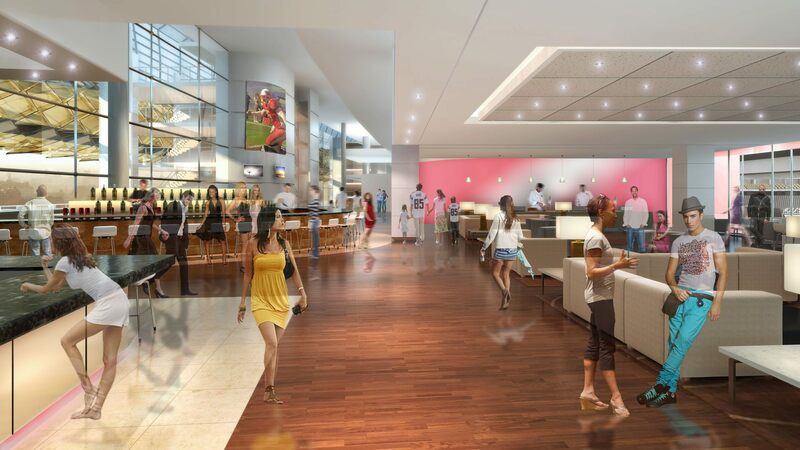 Also the opposite side would assure high visibility with a multimedia façade displaying patterns of videos. 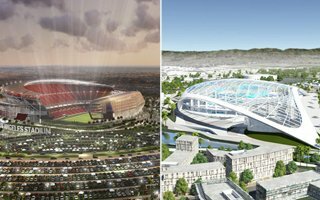 One more, perhaps most stunning idea of Manica architects is the plan to change colours of seats depending on game hosts. 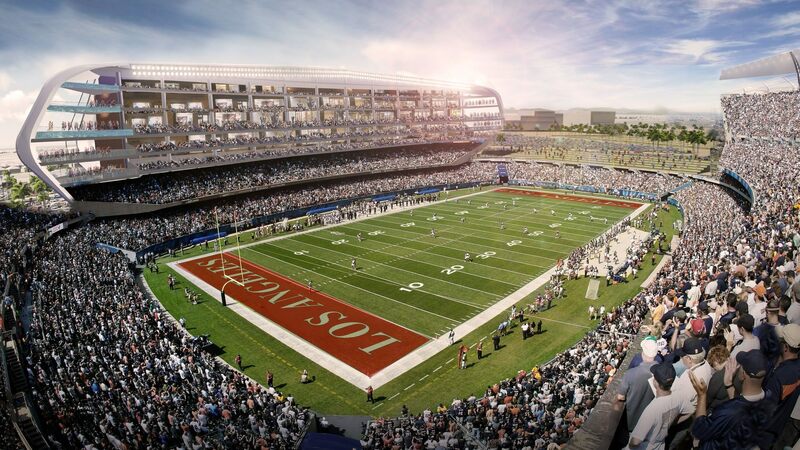 For Raiders games they would be black and white, while changing to powder blue for Chargers events. 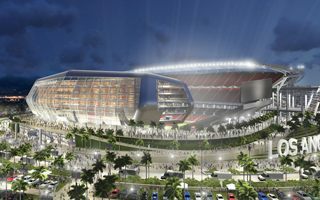 This would be achieved by using clear seats with illumination, but that feature is at an early stage. 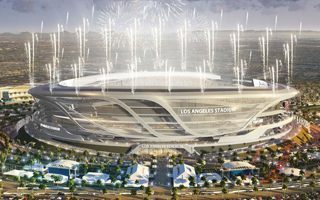 The stadium’s cost is estimated at $1.7 billion, which would make it not only the most expensive in the USA, but worldwide. 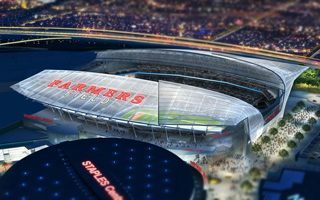 Both NFL franchises estimated public funding could be avoided, but there seems to be high skepticism towards this declaration.